Right in the heart of Playa de las Américas, this modern steakhouse opens at noon every day and offers the possibility to eat any day, any time. Its menu displays a wide selection of meats for the most demanding customers, as well as market-fresh cuisine for those looking for something other than steaks. Monkey Bar & Grill is the best restaurant to dine at. Here, you will find lunch, dinner, cocktails, wines and drinks. Perfect for family gatherings, celebrations, groups, to enjoy your time and to be seen in one of the trendiest restaurants, all made possible by its menu, atmosphere and décor. This is one of the most romantic restaurants to have dinner in Tenerife. Awarded the ‘Best International Cuisine Restaurant in the Canary Islands, it’s a modern restaurant with bronze and glass tables, button tufted walls, designer furniture, and subtle, ambient lighting. The culinary concept behind this luxury Asian restaurant is a fusion between Japan-Asia and the rest of the world. You can either enjoy the menu or a unique WOW! experience in the Canary Islands, i.e. a gourmet tasting menu that the customer will enjoy while stunning videos and images are projected, along with music specially chosen for the occasion. Located at the Avenida de las Américas, this restaurant offers traditional Italian food from 12 pm to 11 pm. 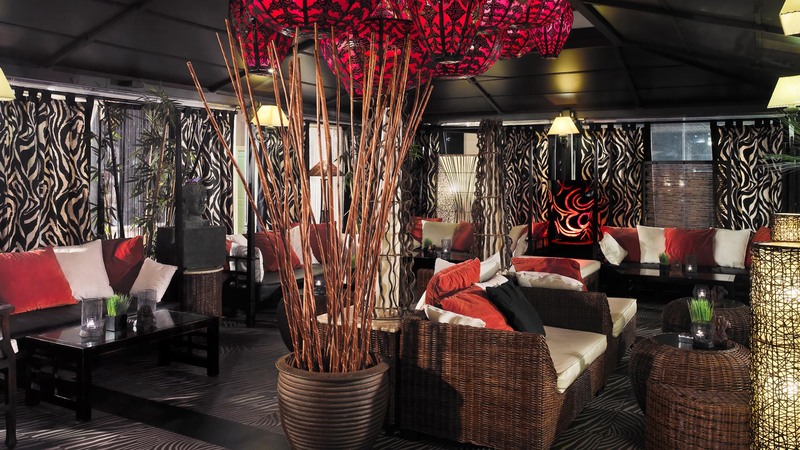 On the Tuscan-style terrace of this romantic restaurant you will enjoy evenings in good company. From Monday to Thursday, this Italian restaurant has live music by one of the most popular guitar players in Tenerife. 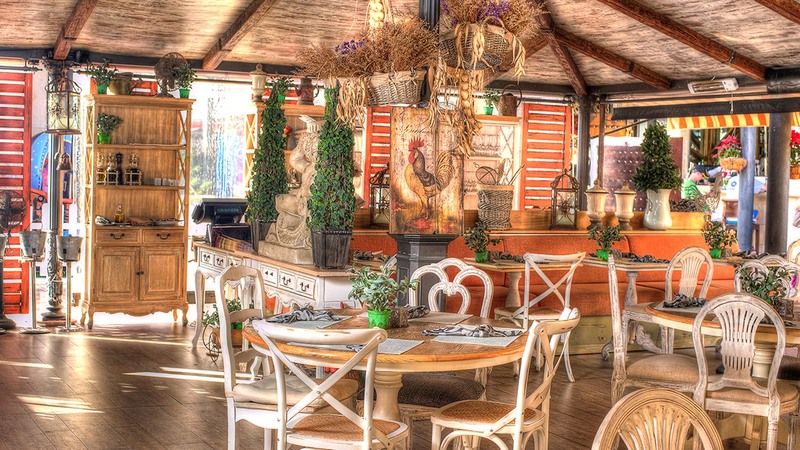 This, together with the decoration, makes the place one of the most charming restaurants in Tenerife. Located at the Playa de Troya, in the heart of Playa de las Américas, this restaurant has one of the best views of the Island of La Gomera from Tenerife. 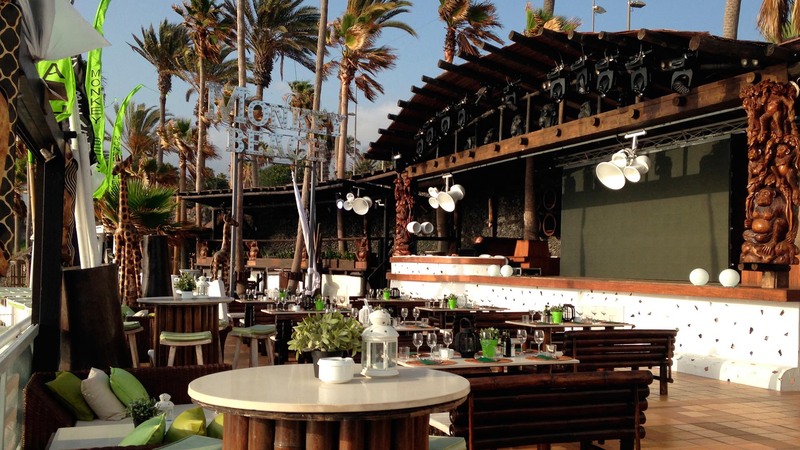 Monkey Beach Club provides a different concept of Food&Music&Friends. Fresh and simple Mediterranean food. Enjoy this alfresco restaurant both in summer and winter. Don’t miss the best parties every Sunday during summer. Virtually every event or celebration you can think of can take place in Monkey Beach Club.